Fortunately, when we arrived the previous day, we had a couple of hours to explore. 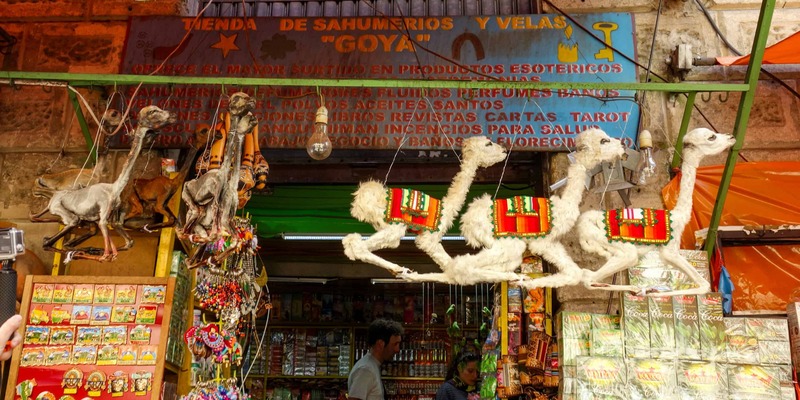 It was just enough time to take in La Paz’ bustling markets and pick out three favourites that everyone should visit during their stay in the capital. 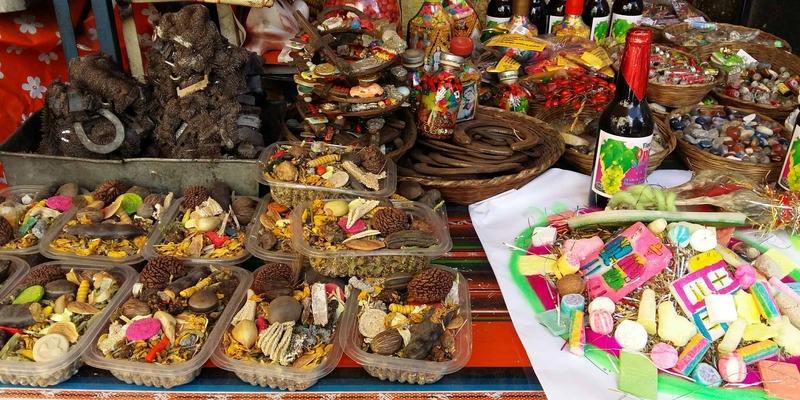 Whatever you need to buy in La Paz, you can find it at Mercado Rodriguez. From food to kitchen pots or socks, you will find a vendor on Mercado Rodriguez. Located close to San Pedro Square, the market spreads out over several blocks. And even though it appears huge when walking through, it is just an average-sized market in a giant city like La Paz. 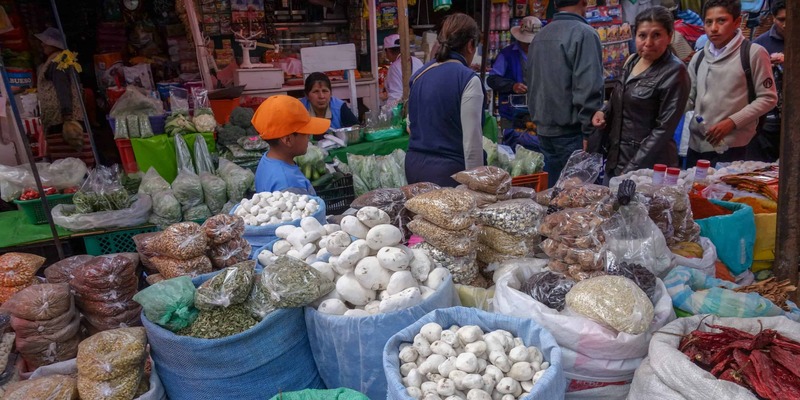 In Bolivia, most people still buy their necessities for everyday life on markets like the Mercado Rodriguez. Food is cheaper and of better quality than in supermarkets. With people returning every couple of days, they soon find a favourite vendor to shop at, with whom they develop a special relationship. They will receive a fruit or two extra free of charge, and they will linger to talk and exchange gossip. But be careful what you tell. When my guide went to his favourite vendor after having broken up with his girlfriend, half of the market knew about his troubles within less than an hour. While walking across Mercado Rodriguez, look at the giant corn for sale. Also, you will see white and black objects that look almost like rocks. Those are dehydrated potatoes. 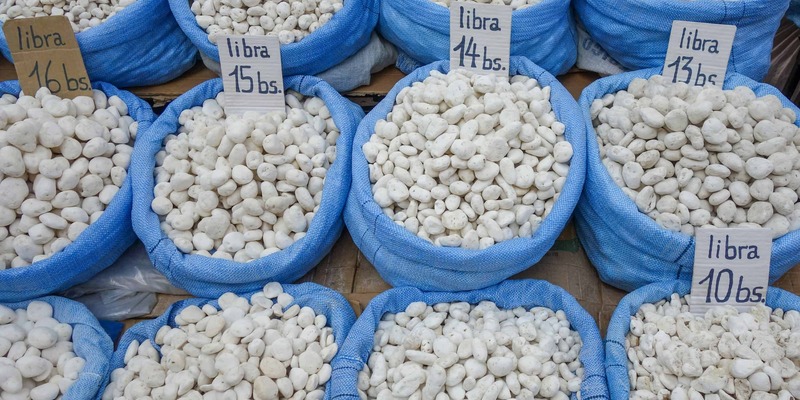 They can be stored for years without rotting and are a popular addition to many Bolivian dishes. The Witches’ Market is also known as Mercado de las Brujas or La Hechiceria. You can find it close to Mercado Rodriguez, but besides that, the markets have nothing in common. As the name implies, the Witches’ Market is where you go to find all kind of magical remedies for everyday life. You will be able to find love potions and break-up potions. But besides the more obscure things, this is also where people buy medicinal plants or objects used in traditional Bolivian rituals. What attracts visitors’ attention the most are the dried llama fetuses on sale. When anyone, whether in the countryside or in La Paz, wants to build a house, they will first go and see a yatiri, a local witch doctor. The yatiri will then perform a ceremony and give the llama fetus as an offering to Pachamama. Only llama babies that died of a natural cause can be used, and they are combined with many more offerings to ensure that the family in the house will live a long and prosperous life. Mercado Lanza is different from the bustling markets in La Paz I mentioned above. Located in a building, this market always looks as if it is half closed. Many shop owners have left because rent was too high and this is not a place to come to for its market atmosphere. Instead, you go to Mercado Lanza for food and drinks. Located on one of the upper levels, you will find a couple of vendors who can offer you a variety of local specialties. Start with papa rellena, a potato stuffed with meat, or a delicious (and meat-free) avocado sandwich. Order a fruit shake to wash it down. I can highly recommend the mora (blackberry) shake with milk! Next, try the api with pastel. Api is a purple drink that is made of corn and cinnamon. 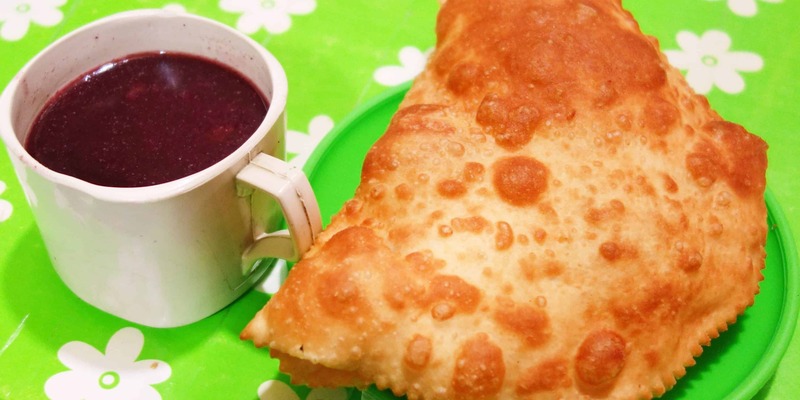 It tastes deliciously like Christmas and is usually served hot and with pastel, a fried pastry filled with cheese. If you are still hungry (if not, come back the next day), you now need to try the multivitaminico. This shake is popular amongst Bolivian students, who will use it as a substitute for one of their meals. It contains a mixture of fruit and grains that are blended together. It is very delicious and very filling. If you want to know more about Bolivian dishes you should not miss, click here.